This statistic shows the video game penetration rate in France in 2014, by game partners and game type. 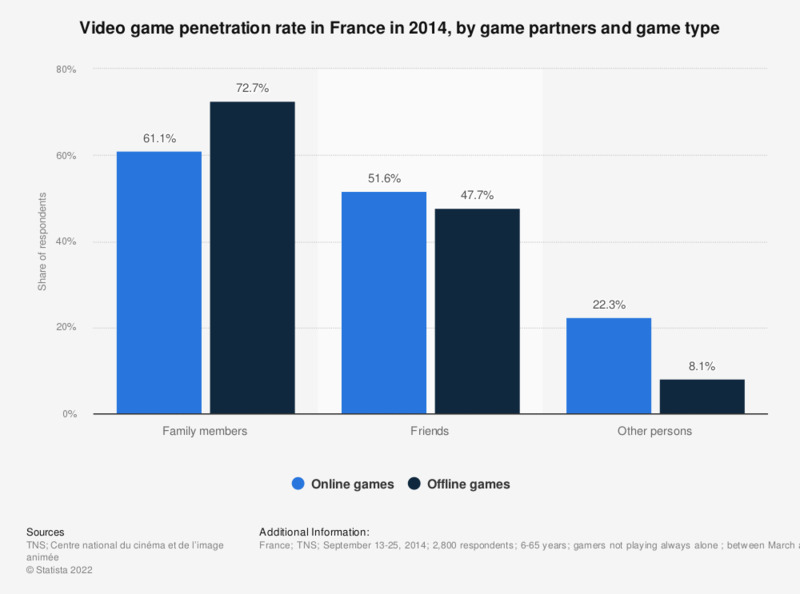 In France, 61.1 percent of online gamers stated that they had played with family members between March and August 2014. The study focuses on player practices between March and August 2014.